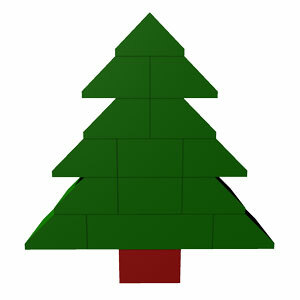 This page is for those who want the instructions to build a simple Christmas LEGO Tree. This Christmas LEGO Tree is a simplest LEGO Christmas Tree that you could build. It only requires 15 LEGO bricks. If you are ready now, let's have a fun learning to build a simple Christmas LEGO Tree. 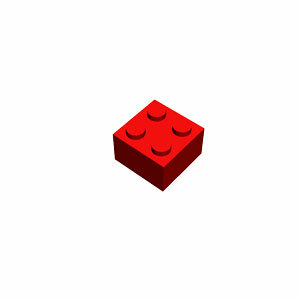 Here we will build a simple Christmas LEGO Tree. 1. Get one green 2x4 brick and prepare to drop it. 2. Get four 2x2/45° roof tiles and prepare to move it down with your fingers. 3. Prepare to drop the 2nd 2x2/45° roof tile while holding the 1st 2x2/45° roof tile. 4. Prepare to move the 3rd 2x2/45° roof tile down with your fingers. 5. 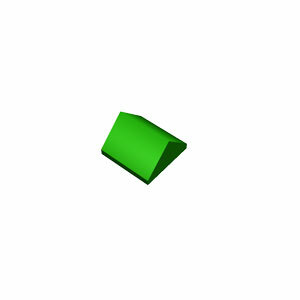 Prepare to drop the 4th 2x2/45° roof tile while holding the 3rd 2x2/45° roof tile. 6. 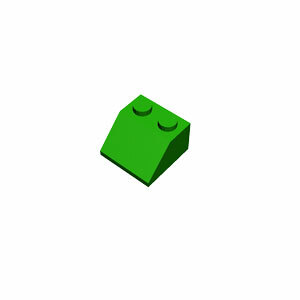 Get two green 2x2 bricks and prepare to drop one of them. 7. 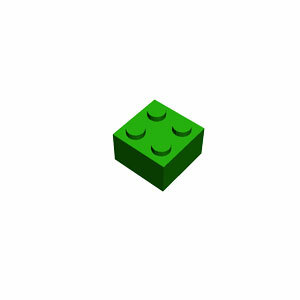 Prepare to drop the 2nd green 2x2 brick. 8. Get six 2x2/45° roof tiles and prepare to drop one of them. 9. Prepare to drop the 2nd 2x2/45° roof tile. 10. Prepare to drop the 3rd 2x2/45° roof tile. 11. Prepare to drop the 4th 2x2/45° roof tile. 12. Prepare to drop the 5th 2x2/45° roof tile. 13. Prepare to drop the last 2x2/45° roof tile. 14. 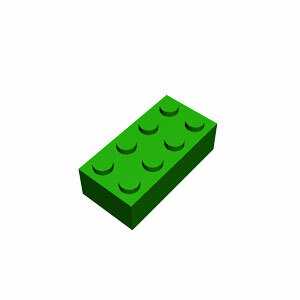 Get one green 2x2/45° ridged tile and prepare to drop it. 15. Now, let's see what you have done so far. 16. Congratulation! You have completed making a simple Christmas LEGO Tree.